I have a picture (fictional) of a mountain. What I want and am not able to do without help, is to make the coordinates and height to the right scale. I have a line that represents 10 km on the original picture and some height contours. I've made the colour picture into greyscale but now, when I try to make it a 3D model using Qgis2threejs, I doesn't work, I think because the file doesn't have a DEM layer. The Profile Tool Plugin does give the right shape, but not the correct heights. Edit: sorry for not giving enough info, the greyscale was made by checking which style the first picture had and turning each colour separatly into a 32-greyscale using GIMP like this. The first picture is only an image, so .png, therefore the grayscale is also only a .png image. 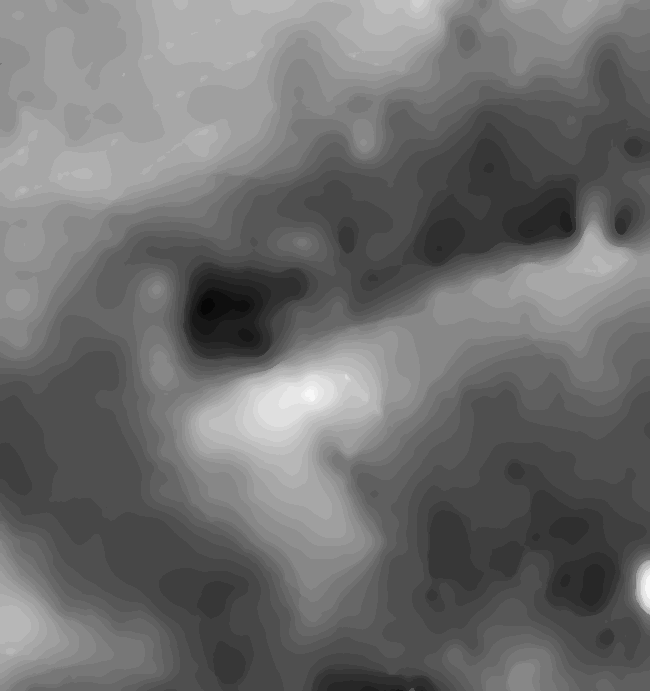 The image is not geo-referenced because it is a fictional mountain, the only reference is the 10 km line in the colour image. 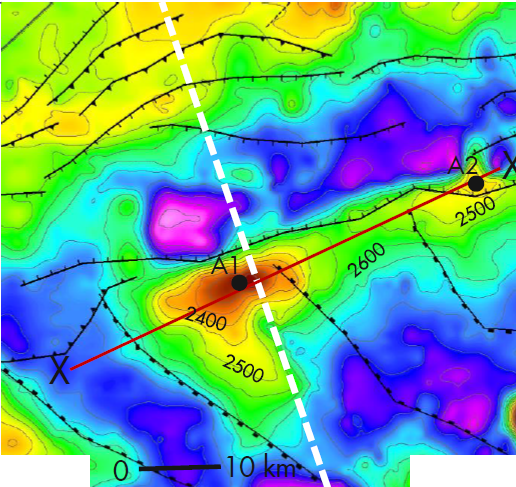 The height contours are 50 m each with the 2,4 to 2,5 km contours defined as such. This is the only data I have, two pictures. E. de V.E. de V.
Browse other questions tagged qgis volume 3d-model or ask your own question. How to add polygon height in QGIS or PostGIS? Different buffer distance left and right form line? is there a way to have a routing path plugin or JS to be used for a map by qgis2web plugin of qgis? Select and make output points as required on QGIS?